100% Cotton Seersucker. Machine Wash. Button Down Collar, 1/4 Topstitched. Short Sleeve, 1/4 Topstitched. 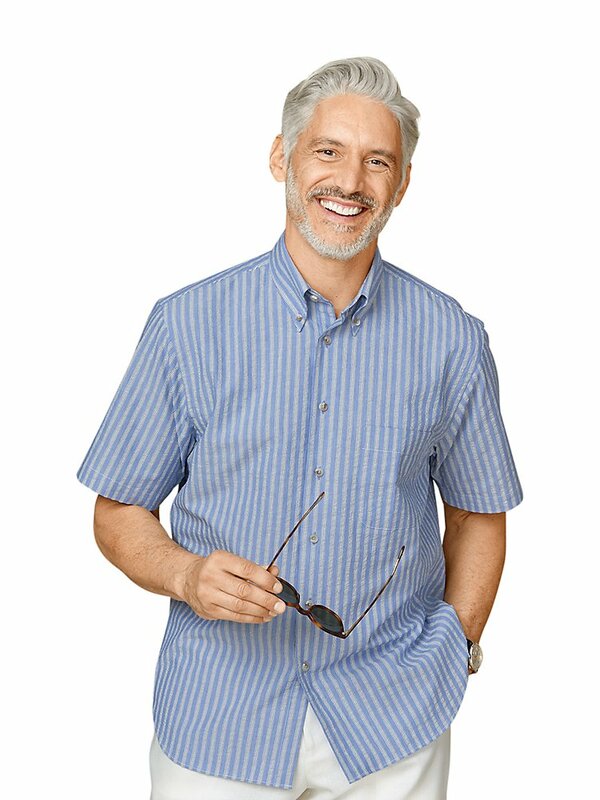 Shorter Shirt Tail, Looks Great Untucked. Regular, Big and Tall Sizes Available . Double Press Turnback Placket. Single Front Rounded Pocket. Imported.